Criminals! You can't run, you can't hide the galactic police are here! 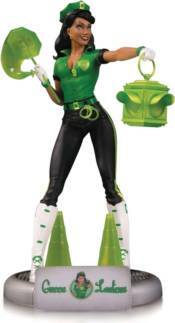 Designed by Ant Lucia at 9 inches tall, The DC Bombshells Green Lantern Statue of Jessica Cruz comes to stop wrong doers in their tracks with her projected traffic light, cones, handcuffs and stop sign.